Friends without a Border is excited to share a new book, published by Nazraeli Press and Friends Without A Border. 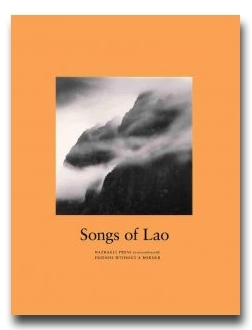 Experience the beauty of Laos with a hardcover, 112-page book of photographs and texts by: Adri Berger, Monica Denevan, Kenro Izu, Yumiko Izu, Michael Kenna, and John McDermott. All proceeds benefit Lao Friends Hospital for Children. For more information about Friends Without a Border, please click here.